The British Empire in India was basically about what Conrad in Nostromo, an novel set on another continent, called ‘material interest’. So the affairs of the East India Company and the crown colony of India set up under Queen Victoria’s rule in the aftermath of the Sepoy rebellion or ‘Indian Mutiny’ of 1857 were mostly focused on expansion and protection of trade. The means the British chose to carry this out hardly bear close moral inspection, in spite of the scruples and higher ideals maintained by some of those charged with the task. 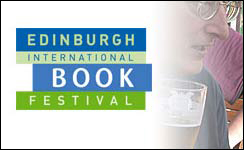 Ferdinand Mount, briefly introduced and cheered on by the BBC’s political correspondent Brian Taylor, outlined this chapter of history to an almost capacity crowd in the main venue at the Edinburgh International Book Festival. 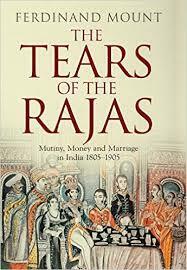 The matter was taken from his book Tears of the Rajas: Mutiny, Money and Marriage in India 1805-1905 (Simon & Schuster), and his illustrated talk was lively, amusing, judicious and well-paced: satisfying, I should think, most of the well-versed and well-connected audience who turned out eager to hear it. 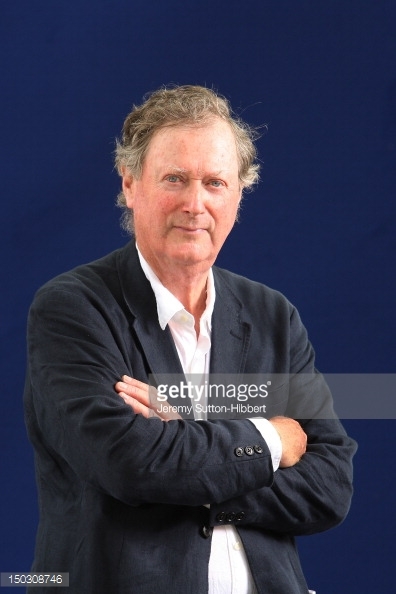 The author, who was for a period editor of the Times Literary Supplement and, intriguingly, a member of a ‘policy unit’ during Margaret Thatcher’s government, very skilfully wove in details of family history within the broad cloth of civilian and military affairs. Mount is related (as is the current Prime Minister) to the families of Lows, Thackerays and Shakespears, who provided many of the key characters here – especially General John Low, his great-great grandfather. Low went to India at age 17 as a young soldier from the family home ‘in the shadow of the Paps of Fife’ (our guide was keen on this precise location), and eventually retired back to the old kingdom, where he derived such benefits as being allowed to ride his pony between shots on the Old Course at St Andrews to spare his venerable frame. Some of his attitudes to India and the people – a leaning to ‘native rule’ and ‘non interference’ were not easily sustained in the events he was caught up in – including the annexation of various wealthy states and the dreadful military suppressions (though these not so personally or directly organised) – where floggings and hangings of reprisal were not uncommon, even extending to firing with field guns on ‘mutineers’ penned up in fives courts. Mount has described his book as ‘a collection of India tales, a kind of human Jungle Book’ – and the Scots side of things certainly features. His ‘Aunt Ursie’, produced a book on the same subject matter, which the family had long neglected until someone else came across it in the British Library, prompting some lurid headlines about David Cameron’s ancestors, and in turn stirring the present author into further reflection. Steadily the young Scots headed out from Fife, occasionally intermarrying. and steadily the young children were returned for upbringing in the fairly ‘chill’ homeland sites – where you might, for example, encounter Aunt Georgina, keen on church three times on Sunday and ‘no jam’. This mix of public and private themes and arenas was handled very smoothly by Ferdinand Mount, and his even-handed judgements and appraisals were well received. Who ultimately gained from this? What are the key impacts? Answers are always there; but the certainties often roll back under cloud, and revising opinions are never in short supply. In this talk, however, and in the book, there appeared to be a wealth of informing detail.